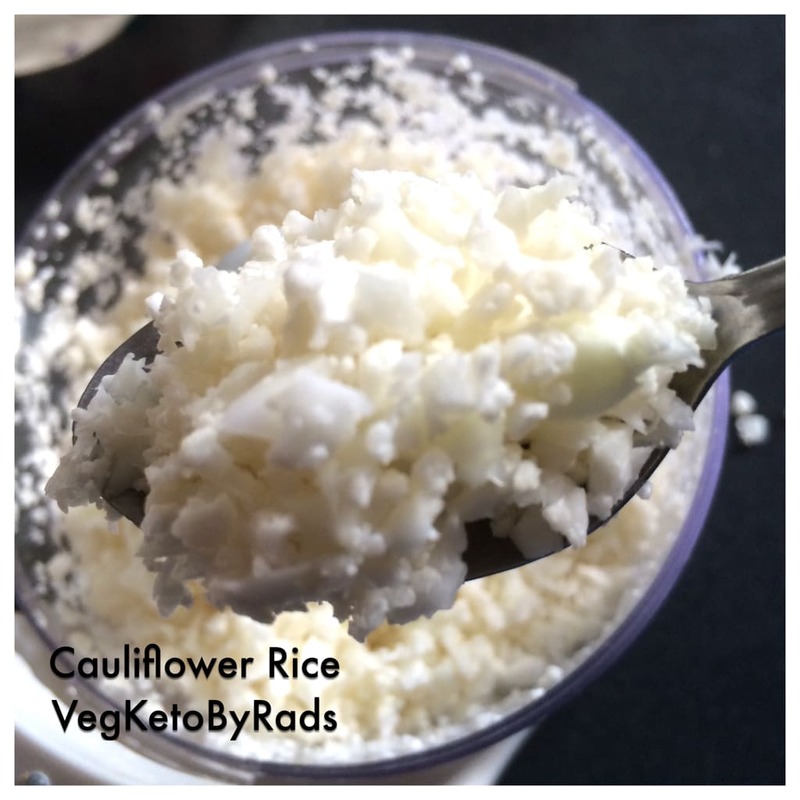 When I first heard of Cauliflower Rice almost a year ago, I balked. I mean, LIKING Cauliflower itself was such an adult thing for me. 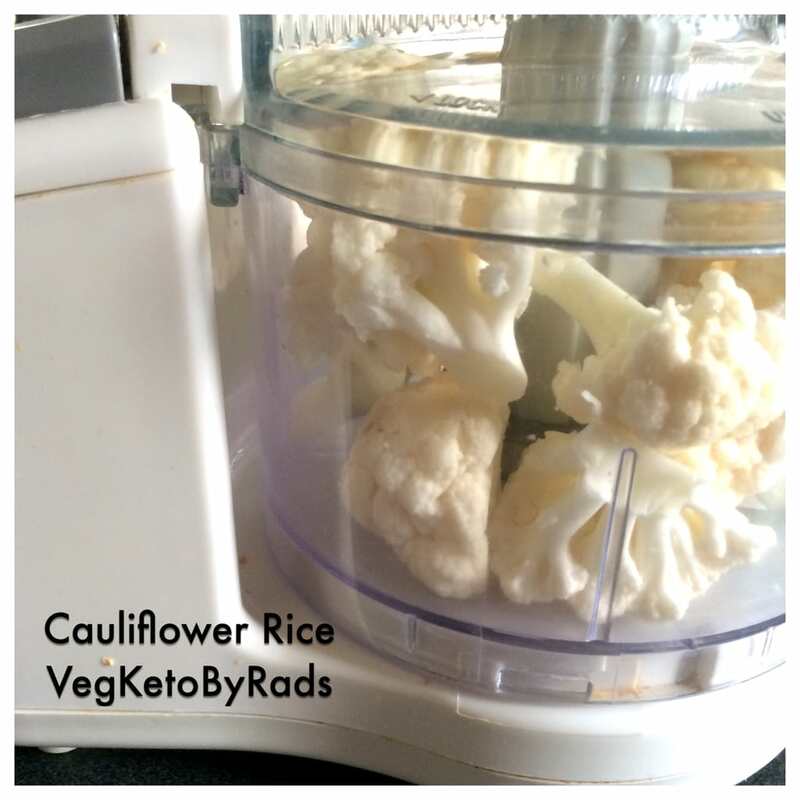 Then there was this little issue of pulsing the cauliflower into powder, which involved a food processor and then the dreaded CLEAN UP. Coz I mean, those florets shred like crazy and they fall all over and don’t dust off easy and will require a wet paper towel. I know. I sound like a whine. But see, for me food is really sustenance with a dose of taste thrown in, so all the extra stuff that I’d have to do off the beaten track makes me want to put the brakes on. Why Cauliflower? This is why..
Super low carb and once cooked (such a quick cook it is), is easily adapted to plenty flavors and it does mimic the texture and look of rice, so an easy safe substitute! Plus it’s such a satiety thing that the trouble’s (I hate but obsessively clean up) all worth it. 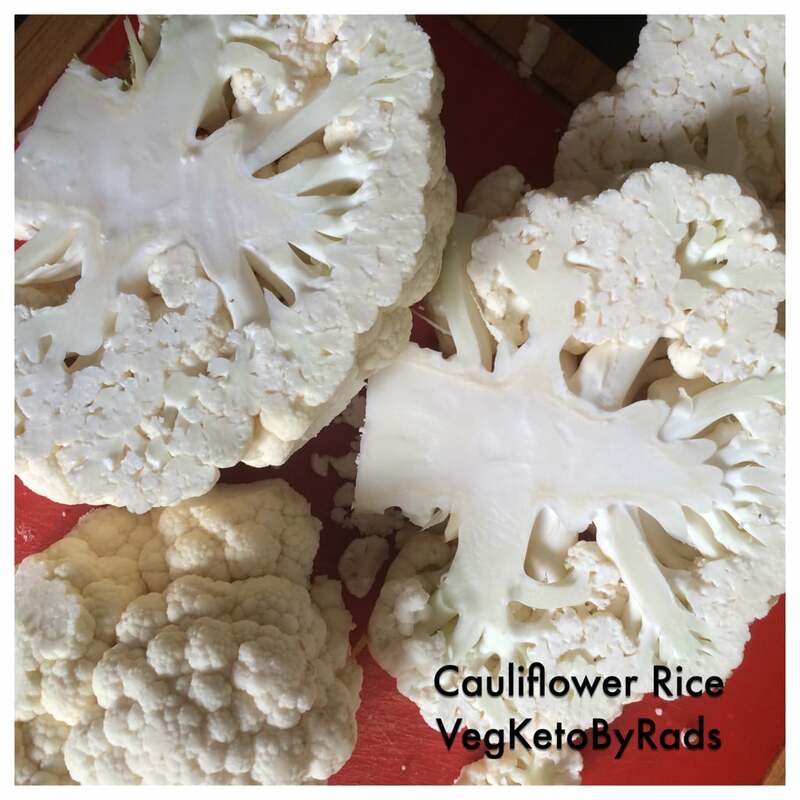 The only main trick to enjoying it is – and it’s never really explicitly told in plenty sites is that – pulsed, powdered cauliflower NEEDS TO BE PAN COOKED! 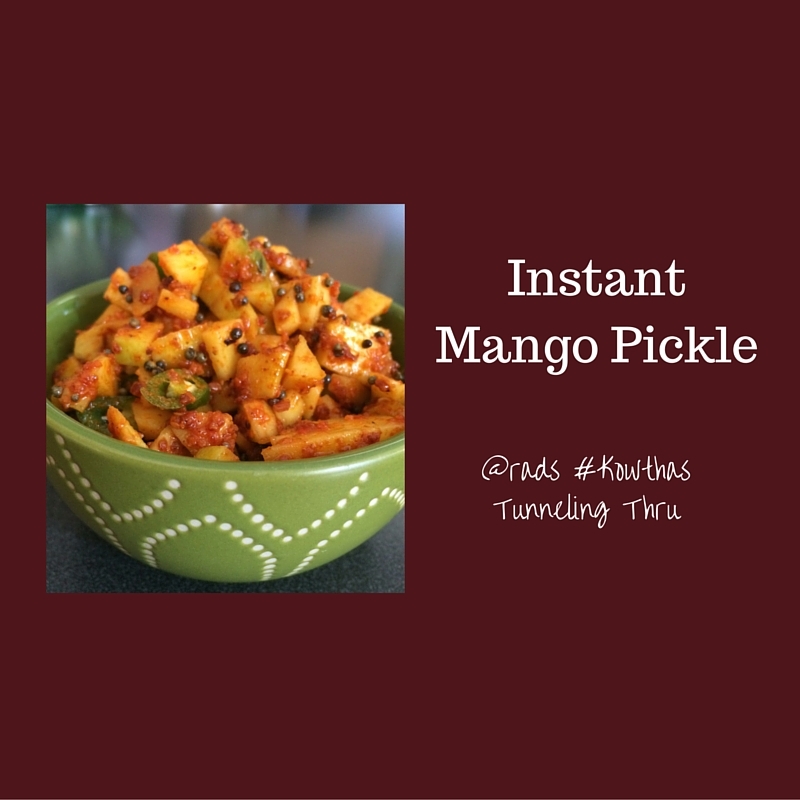 Even perhaps in a teaspoon of oil, but it does need to breakdown and come together nicely, or the raw texture and taste is not always palatable – and most definitely not for the kind of Indian Adaptations that I will be listing here. Break your cauliflower into small 1 inch sized portions, after cleaning and washing and patting them very dry. If it’s wet, it most likely will get all clumpy and damp and that may not be a good thing after all. 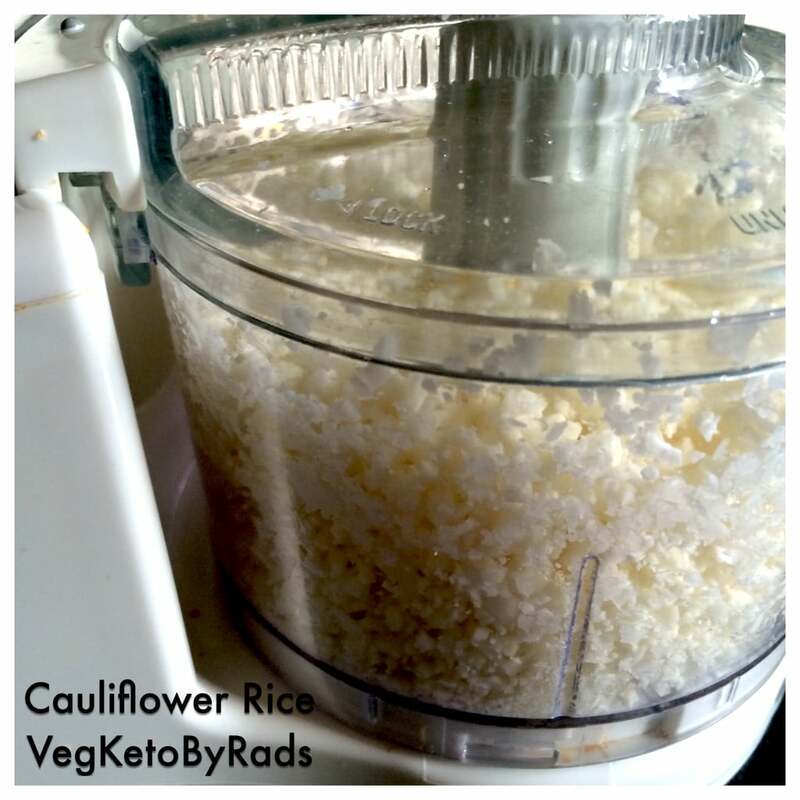 Use a food processor – I just use my small one and I may need to do a couple of batches, but I prefer it that way. Pulse the pieces, (with our without the hardy stalks, your preference) in short bursts till the cauliflower becomes a lovely snowy powder. In a pan, use a teaspoon of oil, and add the pulsed cauliflower and saute for a few minutes, uncovered. The texture and the feel of it will change within few minutes and the cauliflower will come together nicely. This is the beginning and equivalent of your cooked “rice” and the base for all the different kinds of flavors that you will add to it. Super low-carb and Vegan and an excellent “base” for most Indian curries or meals that we all crave for coz that’s how we have been eating all these years! 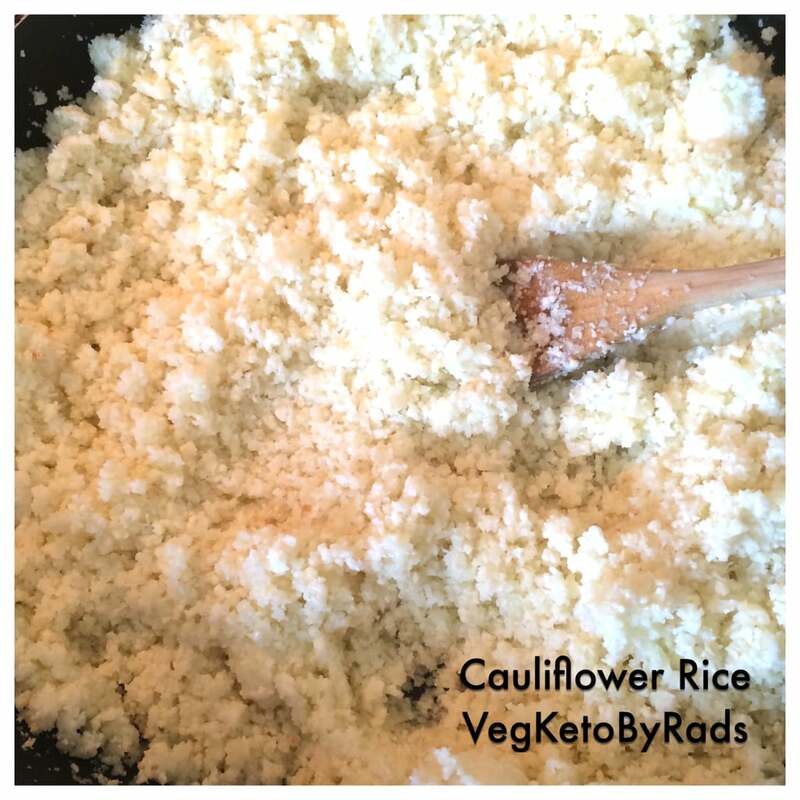 Hi, is this cauliflower ‘rice’ good to be made in bulk and refrigerated?